Unique handmade paper sheets measure 8-1/4” X 11-3/4”. Each color is applied by hand and no two sheets are alike. Colors, shapes and patterns will vary on each sheet. 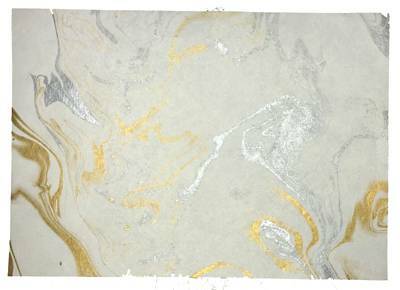 Dull white background with gold & silver highlights. Glue over columns for a realistic likeness of marble. Glue and varnish to finish are not included.